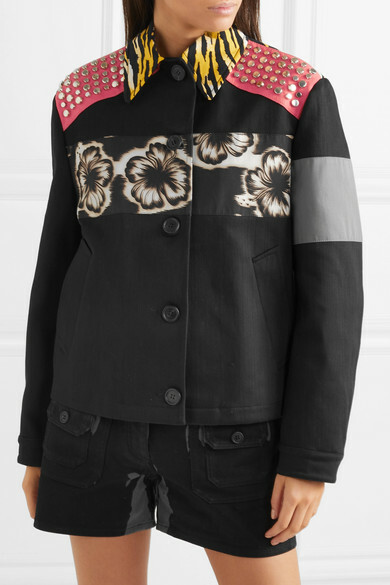 Embellishment and animal prints characterize Prada's Spring '18 collection and reinforce Miuccia Prada's theme of feminine strength. 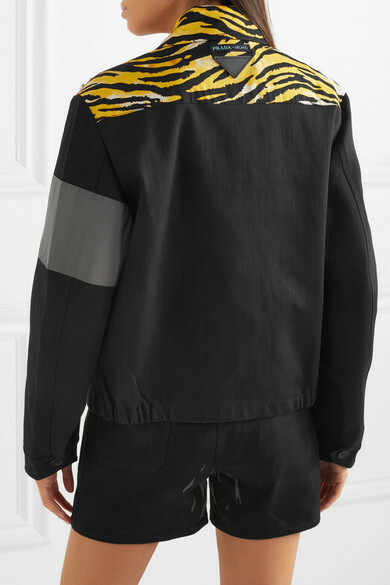 This jacket has been made in Italy from structured black denim and paneled with hibiscus and tiger-patterned canvas. Match the studs on the shoulders to your jewelry. Shown here with: Prada Shorts, Prada Tank, Prada Shoulder bag, Prada Pumps, Prada Socks.